Born in Kyoto, Japan in 1978. 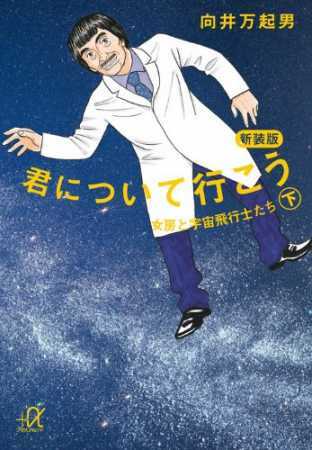 Debut short story, GGG, won Seizou Watase Award for 14th Annual Manga Open. 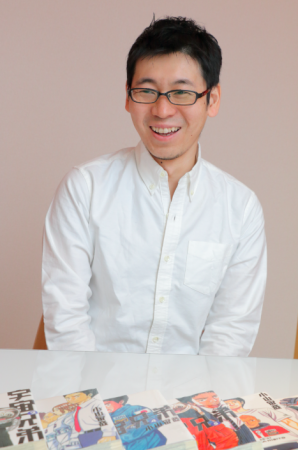 Following year, his next piece Gekidan Jets won the Grand Prize for the same award. 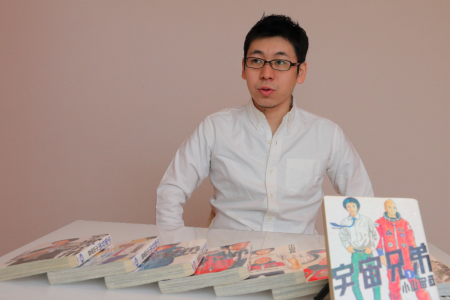 In 2006, he started his first manga series about ski jumping, Harujan, in Morning magazine. Then he also turned his debut piece, GGG, into a series in the same magazine. In 2007 he started his first weekly series, Space Brothers, which was adapted into an anime series and live-action movie in 2012. 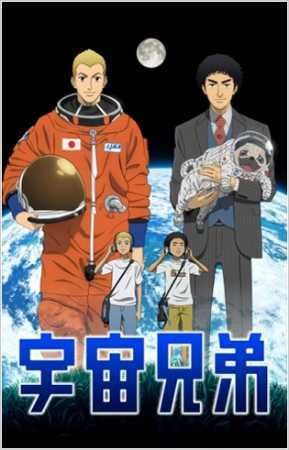 Space Brothers is about the two brothers who wanted to become astronauts. Hibito, the younger brother (left), followed his dream and became an astronaut first, while Mutta, the older brother (right), needs to catch up. Can they go into space together one day? Kodansha Comics (KC): What were you like when you were a kid? Chuya Koyama (CK): I don’t remember too much. [laughs] I was living on the first floor of an apartment complex. There was a fenced balcony, and I used hang out there in the sun. KC: Did you grow up with any siblings? CK: I was the only child. KC: If you’re an only child, how can you draw the brothers in Space Brothers? CK: For that, I had to ask my friends who have siblings what it’s like to have a brother or sister. I also asked my editors about it too. The rest is sort of my imagination. I think every relationship between siblings is different, so I wanted to make sure the relationships between characters in my story are convincing. KC: Did you have any models for the two main characters of Space Brothers, Mutta and Hibito? Or was it completely based on your imagination? CK: When I first thought of the character Mutta, I was reading a book called Kimi ni Tsuite Ikou (I Will Follow You: My Wife Wants to Go to Space) by Makio Mukai. It’s written from Mukai-san’s point of view, but he had an interesting point of view. He has very good eyes for observation, and with that, he remembers and analyzes the impressions people make. I thought that was an interesting personality, so I wanted to make the main character of my story someone like him. Also in Mukai-san’s writing, he uses the word “watashi” (formal first-person pronoun) when he refers to himself. But in everyday talk, he uses more casual pronouns, like “ore” or “orecchi.” That’s where Mutta got his habit of referring to himself as “watashi,” to be sort of formal in the monologues of Space Brothers. That sort of became the basis of the character. But as the story progresses, some parts of myself started to integrate with each character. That goes for Hibito as well as Mutta. Koyama worked on the cover art of Makio Mukai’s book that inspired him to work on Space Brothers. Actually there is another character in the series that kind of resembles him. KC: Mutta or Hibito, which one’s personality feels closer to yours? CK: I think I’m more like Mutta. But I think there’s a part of me like Hibito too. I’m often contemplating like Mutta, but sometimes I am determined like Hibito. Although they are brothers, Mutta and Hibito have completely different personalities. While Hibito sees the positive in things, Mutta tends to see the negative. KC: Why did you become a mangaka? CK: At first, I wasn’t sure if I could become a mangaka [laughs]. But if I could, I wanted to become one. So just testing my ability, I wrote some manga and went to show it to editors. Out of them, an editor from Kodansha found my work interesting. So we’ve started to work together, and I came up with GGG, which won an award. KC: Why did you decide to make a manga about outer space? CK: I was talking to an editor to figure out the next story idea, and he suggested, “What about a story about outer space?” At first, I wasn’t sure if I could do it, because I wasn’t very knowledgeable about space. 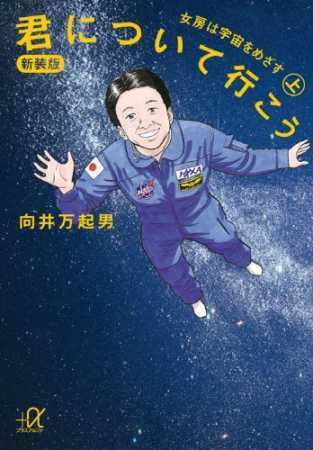 Also there are hit manga about space, like Planetes and Moonlight Mile, that already exist. I knew that it’d be compared to those manga, and it’f be hard to outdo them. But honestly, I didn’t contemplate for too long [laughs]. Also Chuya Koyama is my real name, and my first name contains the word “Chu” [note: 宙 means “space”]. 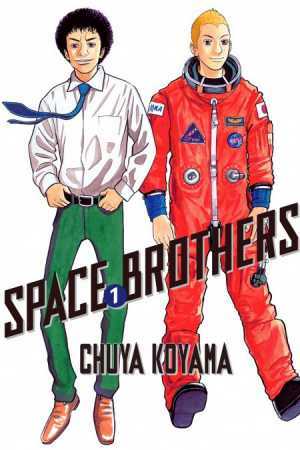 I thought it’d be a funny joke if Chuya Koyama worked on a story about space. Maybe it was destined. KC: How did you get into this subject of space when you weren’t so familiar with it? CK: Like I said, my first introduction to space was Kimi ni Tsuite Ikou (I Will Follow You) by Makio Mukai. I also went to get some insights from people who are knowledgeable about space and science. At first, there’s a story idea. Based on that, I contact and ask a specialist about the details that I want to know. So let’s say there’s an exam to become an astronaut. First, I research about that exam as much as I can, then go talk to someone who was actually familiar with the exam. Almost every time, I come up with a scene in the story, then later ask them to check the facts in the manga. Sometimes I go visit JAXA, sometimes I go watch the rocket launch. 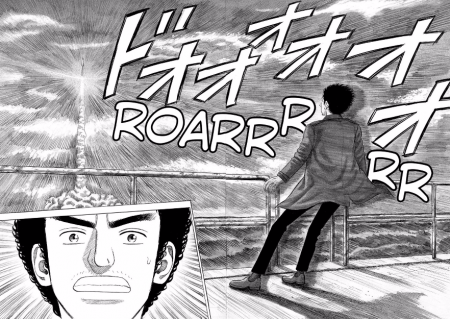 Mutta watching Hibito’s rocket launch. This scene was set in Houston, Texas, where Johnson Space Center is located. KC: There are scenes in Space Brothers that take place in different countries. Do you often go to those places and talk to people for research? CK: I’ve been to America a few times to go see NASA. But I wish I could go to different places more often and talk to the people there. I’m from Japan, so the scenes set in Japan are still the easiest ones for me to draw. Regarding places I’ve never been to, I ask someone who is more familiar with the region. KC: When a specialist looks at your work, what kind of feedback do you get? CK: The reality and manga are different. Manga is entertainment, so it has to be entertaining. The specialists knows about the reality more. But the reality could be kind of boring. The reality could be just about the budget of the space program. I think a little bit about that too, but if I am concerned about just the reality, I won’t be able to make a manga. The people who check facts for me also understand this, so they let certain things slide, because it’s manga. Sometimes they point out what could be possible in reality, which makes me happy. KC: When you make a story, is there something that you keep in mind? CK: The balance between reality and fiction is the key. It would’ve been a totally different manga if it was even more science fiction, with aliens in it. But I started this series in a sort of realistic setting. So I want to think of something based in reality, like what kind of people would become an astronaut, why, and how. 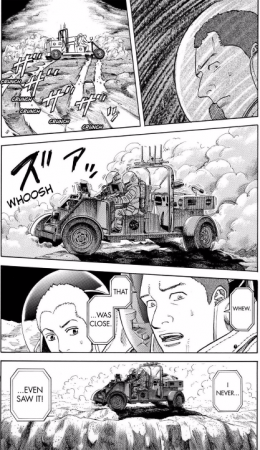 KC: All the characters in Space Brothers have unique personalities. Do you have any models for them? CK: Sometimes there’s a person that I loosely base the characters off of, but the rest are my own creation. For example, Mutta and Hibito’s mom is loosely based on my mother in law. She always says funny things, like calling a “cheese fondue” a “cheese fonduo.” [laughs] I thought that was kind of funny, so I included things like that in the character’s personality too. 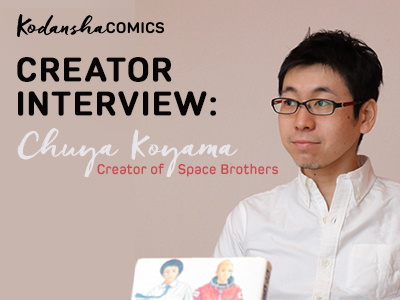 KC: What’s the most difficult thing about working on Space Brothers? CK: Working on a scene in space is the most difficult for me. I’ve never been to space, and there’s limited information about it too. So it’s hard to imagine what it’s like to be in space. In contrast, it’s easier to work on a scene on Earth, because we’re here. It’s much easier to draw about the environment that you are familiar with, like your hometown. But when I have to draw a scene on the moon, I have to rely on my imagination. Even if I asked a question to a specialist, I wouldn’t be able to get a definite answer. For example, whenever I ask a specialist, “What would happen if you bring an apple or watermelon into space?” Everyone’s answer is different. A physicist could use his knowledge and imagination to tell me what could theoretically happen. It’s not like anyone has actually done such a thing in space. So it starts to be matter of opinion. At that point, I have to make my own decision to make my story seem real. 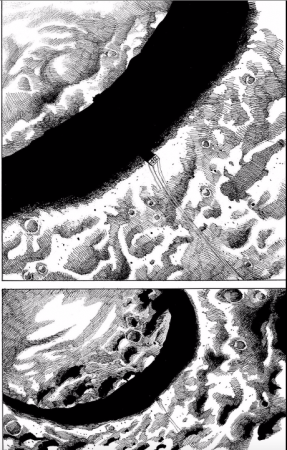 An amazing scene on the moon was drawn based on research and imagination. KC: Do you have any assistants currently? CK: Yes, I have 5 assistants. It’s quite a lively workplace, because everyone loves to chat. Sometimes I put on a movie or an anime to quiet them down [laughs]. Even when you’re doing focused work like drawing manga, your ears still hear sounds. Some people get distracted when there’s a conversation going on. It takes a different kind of brain to have a conversation and draw manga at the same time. It’s kind of difficult to do both. KC: Speaking of, what does it feel like to see your work adapted into anime or a live-action movie? CK: There are pros and cons to everything. But it’s not like one is better than the other. An anime is made with drawings, so there’s a certain quality of art that I want the production team to follow. A live-action movie is kind of up to the actors, but there are other elements that’s not in manga, like the sound effects and music. You can make a certain scene, like the rocket launching scene, to look, sound, and feel much more intense than manga. KC: Do you have any hobbies? CK: I like listening to music. When I just started to work on Space Brothers, I was listening to Sigur Ros and got really inspired. 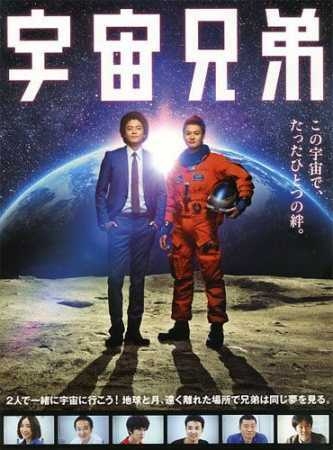 Later on, the song was actually used for the Space Brothers live-action movie. That made me really happy. “Hoppípolla” by Sigur Rós was in the soundtrack of the Space Brothers live-action movie. KC: Do you have any audience in mind when you write manga? CK: Not really. I just want as many and different kinds of people to read my manga as possible. Anyone who likes manga could read it. Or better yet, I want someone who doesn’t usually read manga to read it. There are some people who has negative ideas about manga. But I personally learned a lot from manga. It’s something that makes your life rich. Like putting yourself in the shoes of a character, and think of how to move forward in life, or to think which character’s personality resonate with you most. Just thinking about these things are worthwhile to me. KC: What does it feel like to know that there are people outside of Japan reading Space Brothers? CK: A part of me wish everyone could read Space Brothers in Japanese. There are many plays on words in the story that I imagine are really hard to translate into another language. That silliness combined with serious scenes make this story whole. 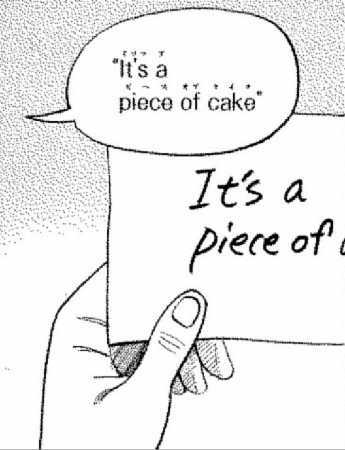 For example, there’s a chapter when Mutta learns the English saying “It’s a piece of cake.” But I wonder if that scene is meaningful for native English speakers, because the phrase is already in English. What does this phrase mean to Mutta? You’ll find out as you follow the story. 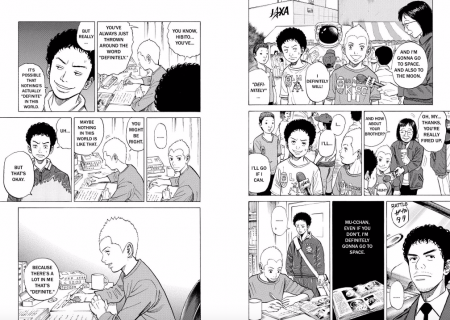 KC: Even if all those jokes may not directly translate into English, you can still get the sense that the characters in Space Brothers seem multidimensional and whole, very much like real people. CK: That makes me happy to hear. I didn’t expect that. Those characters in Space Brothers came from me, who is very Japanese, and very introverted. [laughs] So I was concerned that some nuances and way of thinking may not be understood by people from Western culture. But if someone from another country could still understand and sympathize with any of my characters, that makes me really happy. I do appreciate the fact that in there are different kinds of people in this world, with different backgrounds, upbringing, and ways of thinking. Maybe if I lived in an English-speaking country some day, the characters I draw may start to change too. KC: Do you feel like you’re an introverted person? CK: I think so. [laughs] I think most people who draw manga are introverts. They’re often not really good with words and communication, so they want to do it through manga. But artists are better at speaking than drawing though. KC: Would you want to go to space one day? Where do you want to go? CK: Of course I do. If I could go anywhere in space, like even using a time warp, I want to go to a distant planet where there’s oxygen to breathe, and living creatures could live. I hope I can encounter strange living creatures that evolved in completely unexpected ways on that planet. But then again, there are strange creatures on this planet too. So maybe the experience wouldn’t be much different. KC: Would you still go to space if you only have a one-way ticket? CK: Maybe if I was over 60, I might go. But it might depend on who I go with. I definitely don’t want to go by myself. Actually I am not so sure now if I want to go if it was just a one-way ticket. KC: If someone had never read Space Brothers before, what would you tell him or her? CK: Some people may think it’s a complicated story because it’s about space. But it’s not true. It’s a simple read, because the creator (me) who doesn’t know much about space either, was trying to learn, digest the information, and make it easier to understand it for anyone. If you are shying away from Space Brothers because it’s about the space, think again. It might become your gateway to find a new interest about this subject matter. 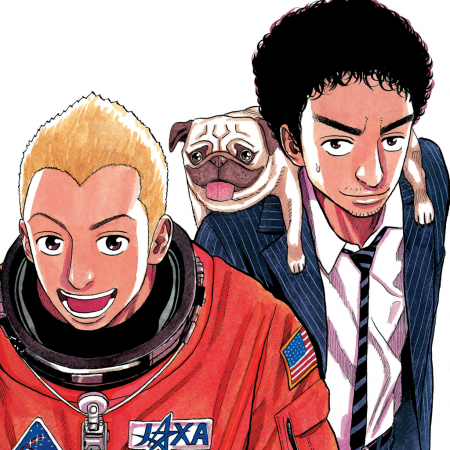 Space Brothers volumes 1 through 19 are available from Kodansha Comics. 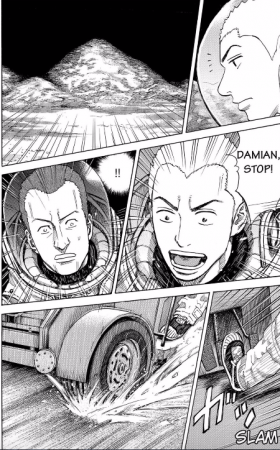 Also the latest chapter of Space Brothers is available on Crunchyroll Manga.